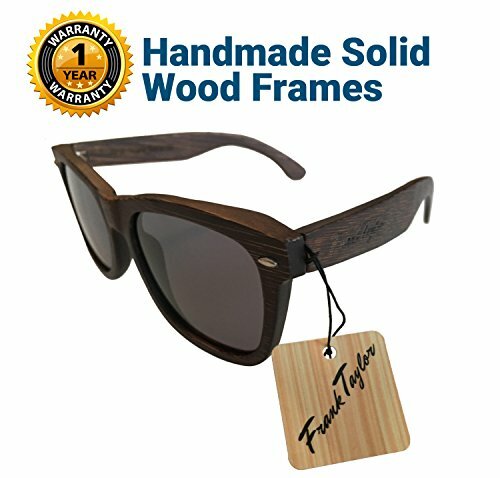 Frank Taylor handmade solid wood sunglasses. These beautiful glasses are artisan made with the highest quality construction and materials. Don't accept cheap imitations. Perfect for the beach, snow, biking, sports, driving and daily adventures. 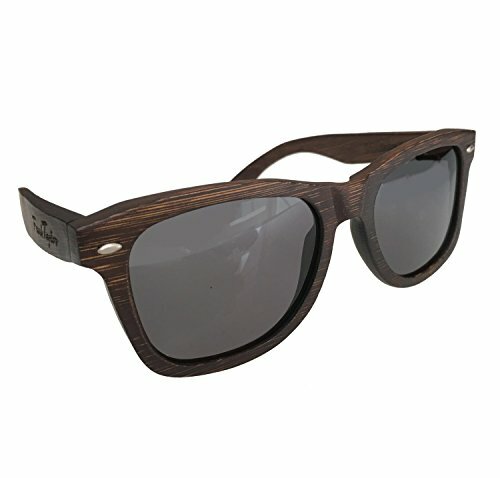 You'll look great in with this classic retro wayfarer style. Kiss glare goodbye with our premium anti-glare coating. You'll see the world in sharp, crisp detail. 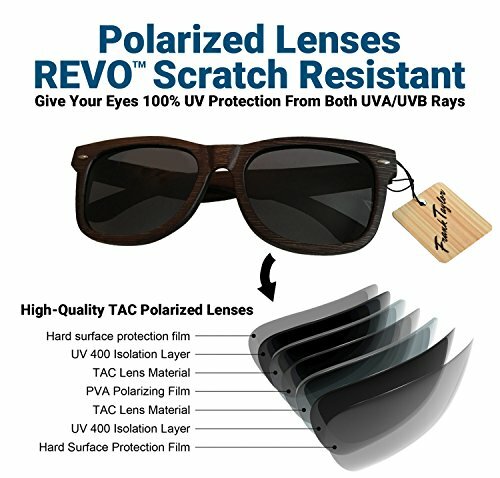 Our polarized lenses have 100% UVA/UBV coating to fully protect your eyes form harmful ultraviolet rays. Plus, they're fully waterproof and even float in water!